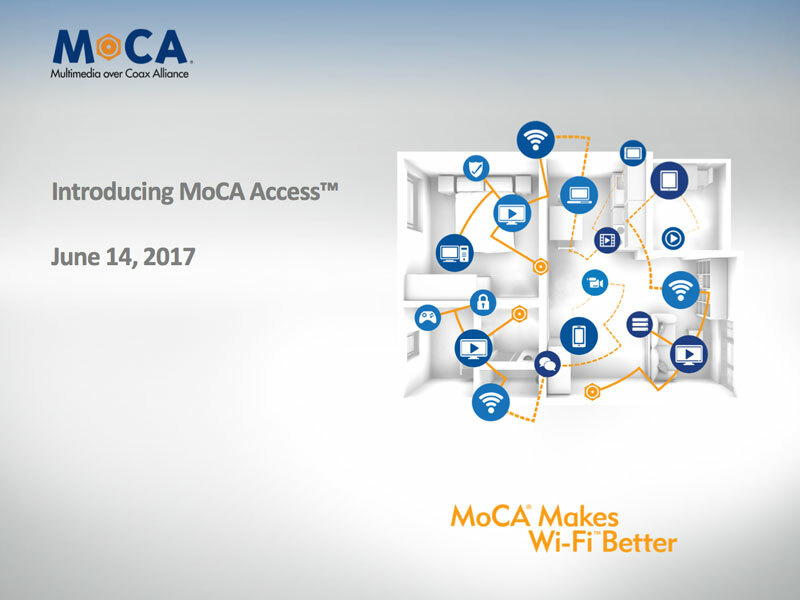 Leveraging its inherent strengths in high performance and high reliability, the Multimedia over Coax Alliance is introducing MoCA Access; a new broadband access specification based on the MoCA 2.5 standard which is capable of 2.5 Gbps actual data rates and leverages the existing in-building coaxial cabling. MoCA Access is point-to-multipoint serving up to 63 modems (clients). It is designed to co-exist with legacy services such as TV, DOCSIS, and cellular (4G/5G) technologies. The operating frequency range is 400MHz - 1675MHz. Latency is less than 5ms. Throughput is up to 2.5 Gbps downstream and 2 Gbps upstream. MoCA Access supports standard traffic shaping and QoS up to eight (8) traffic classes. It also provides strong security, three transmission power modes with 45dB, 55dB or 65dB link budgets and power saving modes.